The holidays are approaching and we couldn’t stay aside of it. Today we’ve prepared two dialogues for you. 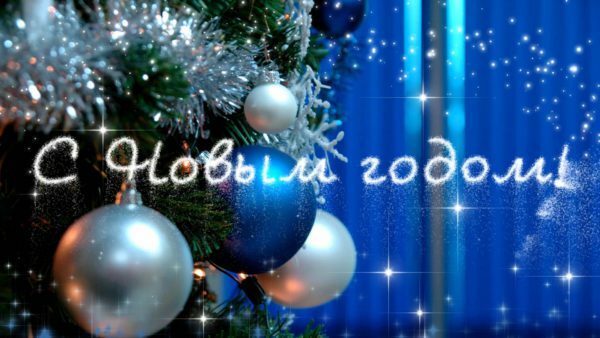 They cover some useful holidays vocabulary and tell a bit about Russian traditions of celebrating the New Year. But before we start, we probably should clarify something for you. Many of you might know that the traditions of celebrating the new year and Christmas in Russia are different from the rest of the Christian world. This is due to the facts that, firstly, the Orthodox Church follows the Julian calendar, and therefore Christmas in Russia falls on January 7. And secondly, the Christmas was banned during the communist time, so even today not every Russian celebrates Christmas. But absolutely everyone celebrates the New Year. The presents, the Christmas tree (ёлка), and the Grandfather Frost (Russian Santa Claus) are all about the New Year for the Russian people. A: Hello, happy upcoming holidays! B: Спаси́бо, тебя́ то́же! Давно́ не ви́делись, как дела́? B: Thanks, happy holidays you too! Long time no see, how are you? A: Непло́хо, а ты как? A: Not bad, and you? B: То́же хорошо́. Так мно́го сне́га навали́ло в э́том году́! B: I’m good as well. So much snow this year! A: Не говори́, прихо́дится маши́ну по у́трам отка́пывать. Ты где но́вый год отмеча́ешь? A: Don’t say, I have to dig the car out every morning. Where are you celebrating the New Year? B: Нас пригласи́ли друзья́ провести́ но́вый год с ни́ми в при́городе. А ты куда́-нибудь е́дешь? B: We are invited by friends to spend the New Year in the suburbs with them. And you, going anywhere? A: Нет, мы остаёмся в го́роде, собира́емся вме́сте с друзья́ми. Ты уже́ успе́ла купи́ть всем пода́рки? A: No, we are staying in the city and getting together with friends. Have you already bought all the presents for everyone? B: Почти́, оста́лось то́лько найти́ что-нибу́дь для моего́ отца́. B: Almost. I just need to find something for my dad. A: Я ещё да́же не начина́ла. A: I have not even started yet. B: Лучше поторопи́ться, ско́ро в магази́нах всё смету́т. B: It’s better to hurry, very soon the shops are going to be empty (people will empty the shops). A: Э́то то́чно. Ну ла́дно, прия́тно бы́ло поболта́ть, уви́димся в но́вом году! A: That’s for sure. Well, it was nice talking to you, see you in the New Year! B: Взаи́мно, всего́ тебе́ хоро́шего! B: Same to you, all the best! A: Hello, happy upcoming New Year! B: Приве́т! С наступа́ющим! Раздева́йтесь, проходи́те! Мы ещё на ку́хне гото́вим. B: Hi! Happy upcoming New Year! Please take of your cloths, come in. We are still cooking in the kitchen. A: Кака́я у вас краси́вая ёлка! A: What a beautiful Christmas tree you have! B: Э́то де́ти постара́лись. Посмотри́те, каки́е у нас снежи́нки на о́кнах! B: The children did it. Look at the (paper) snowflakes we have on the windows! A: Красота́! На у́лице как краси́во то́же, огни́ везде́ пове́шены, декора́ции! A: Beautiful! It’s so beautiful in the streets too, the lights are everywhere, decorations. B: А вы на́шу гла́вную городску́ю ёлку ви́дели? В э́том году́ она́ са́мая больша́я в исто́рии го́рода! B: Have you seen our main city Christmas tree? This year it is the largest in the history of the city! A: Ещё не ви́дели, но за́втра обяза́тельно посмо́трим. A: We have not, but we’ll see it tomorrow. B: Сего́дня но́чью мы идём в центр го́рода смотре́ть салю́т. B: Tonight we are going to the city center to watch the fireworks. B: Нет, в на́шем го́роде салю́т в два часа́ но́чи. B: No, in our town the fireworks are at two o’clock in the morning. A: Отли́чно, мы с удово́льствием. Как мно́го вы всего́ нагото́вили! A: Excellent, with pleasure. You’ve prepared so much food! A: Вы́глядит всё о́чень вку́сно. A: Everthing looks very tasty. B: Мы за стол ся́дем приме́рно в 11, прово́дим ста́рый год. Вот тогда́ всё и попро́буете. B: We sit at the table at about 11, say goodbye to the old year. Then you can try everything. A: Отли́чно, не могу́ дожда́ться! A: Excellent, I can not wait! That’s all for today. Merry Christmas and happy New Year everyone!